Mike has provided me with excellent service for 10 years. He will do any job, big or small. He does high quality work, and leaves your house neat and clean. What I like most about Mike is that he will always call you back quickly, and in an emergency will come right over to fix the problem. 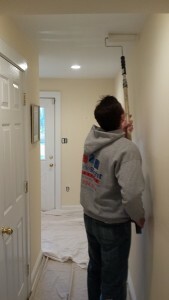 DoneRight consistently does honest, quality home repair work, without surprises or hassles. They’ve been my dependable “go-to” team since my husband died 10 years ago. Mike has been our go-to person for all our retail displays and maintenance. He’s friendly, prompt, efficient, professional and just an overall a great guy. We can’t recommend him enough! The Team at DoneRight are professional, provide exceptional and consistent service, and are reasonably priced. I have recommended them to friends and colleagues over the years and they never disappoint. I highly recommend Michael and Done Right Handyman. They are extremely easy to work with, flexible – scheduling at times that work for both of us even with sometimes crazy schedules, reliable – coming when they see they will, and very well priced. I have “used” them for over 10 years now on many different household repairs, projects and upgrades from more simple ones to more complex and have always been very satisfied with their work. I have had absolutely no problems with their work ever. I have recommended Michael to my friends and they too have always been satisfied and have remained customers. As a single woman who is not mechanically inclined or good with household repairs, having someone who is able to help and who I can trust is invaluable. I have been using this Handyman service for several years! He is very trustworthy and very reliable! I always recommend him to family, friends & neighbors! I was referred to work with DoneRight Handyman, and Michael MacDowell years ago to do some home repairs, which included remodeling my semi-finished basement into a Home Entertainment Room of the house. Mike’s work, timeliness, and dedication has made this room my continual showpiece for family/friend gatherings, Superbowl parties, and quiet TV/movie nights with family. This room gets continual comments almost a decade later. Since, I have used DoneRight for door installation, interior/outdoor framing, painting, and other small housing projects. I would highly recommend DoneRight and Michael MacDowell for any job, big or small, knowing the quality of work could not be matched.